Dozens of brands and leading advertisers have pulled their advertising from Google in an argument about how the search engine giant monitors its own systems. The major move away from Google follows an investigation by The Times newspaper which has revealed significant amounts of advertising from major global brands appearing on YouTube videos, amongst other places, which are from a variety of negative, potentially criminal accounts. These include videos from hate preachers. Companies such as Heinz, HSBC, L’Oreal, Marks and Spencer, Sky, Tesco, Vodafone, Volkswagen, and the UK Government have all stopped spending money on Google. Over 250 others have followed suit. Governments are also leading campaigns against Global, with Vietnam, for instance, calling for all firms to stop advertising on Google. On top of this, Google has been criticised openly by one of the most significant voices in advertising, Sir Martin Sorrell, who heads the leading company WPP. Plus the matter has been raised in the UK Parliament and in a Commons Select Committee. There is considerable pressure mounting on Google. 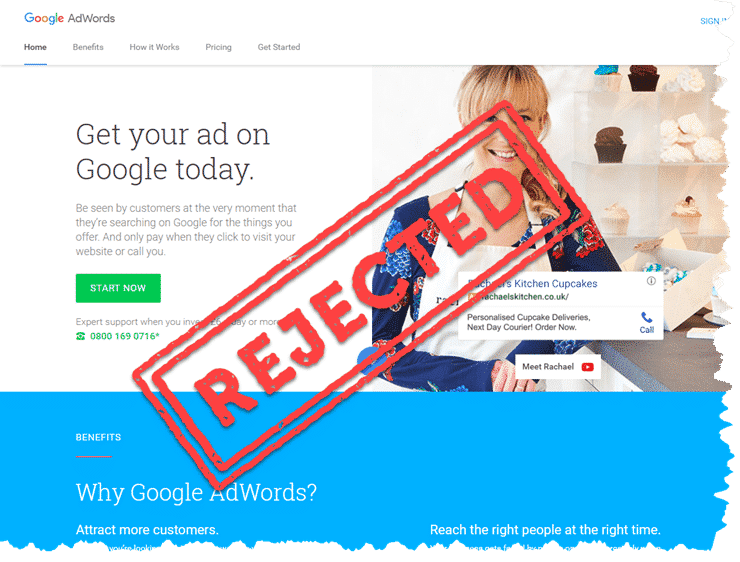 Google, for its part, has apologised and set up an immediate reform of some of its advertising. However, much of this is seen as too little too late and not really dealing with the fundamental problem. Indeed, the comments from Google have fuelled more anger at the company. Part of Google’s problem is the vast amount of content it has to try to monitor. With more than 300 hours of video being uploaded to YouTube every minute of every day, it is a mammoth task to spot problematic content. Even if people notice it and alert Google, the volume of complaints must be hard to cope with inside the 24-hour deadline they have set. In fact, as The Times reports show, videos that have been complained about were still available on YouTube more than 24 hours after the issues were notified to the company behind Google and YouTube, Alphabet Inc. However, that’s not the real issue. The essential problem behind all of this is that Google vehemently believes in the power of its algorithm. It’s the same problem over at Facebook. To these high-tech giants, the algorithm is everything. But let’s face facts. The algorithms they use are merely mathematical calculation systems attempting to work things out. But frankly, they are pretty useless. After all, if Facebook’s algorithm were any good it wouldn’t be annoying certain people in Washington DC with the promotion of “fake news”. One of the reasons that there was so much “fake news” in people’s timelines on Facebook was because the algorithm said, “this piece of news is really popular so it must be of interest to people”. Except, of course, popularity and veracity are not necessarily the same thing. It’s quite popular to believe that aliens landed in Roswell, New Mexico in 1947, but that doesn’t make it true. Google’s reliance on its algorithm can also be questioned. Its search algorithm is not necessarily as good as we might believe. One in three people who search for something never click on one of the resulting links on a search results page, suggesting that either the person didn’t know what they really wanted to search for, or that the algorithm was not really able to interpret the request correctly. That algorithm issue is emphasised by the fact that many people return to Google within 10 seconds of clicking on a search link, to search again. This indicates that the individual is having to conduct repeated searches because the algorithm is not intelligent enough to work out what we the person really wants. When it comes to advertising, algorithms still reign supreme in the corporate thinking of these giant tech firms. All you need to do is set up your advert, tick a few boxes and the algorithm will make sure that your advert appears in the places you want. Except it doesn’t quite do that, as the examples shown by The Times demonstrate. In the “olden days” when there were no algorithms to determine your advertising placement, an advertiser would use an advertising buyer to buy the space needed. These ad buyers would get to understand the brand and would know the best places for that brand to appear, whether that was a magazine or a TV slot. True, that still happens today, but 30% of all advertising now is digital, and the ad buyers are doing their job with their hands partly tied behind their backs because the placement of adverts is algorithm led. No longer do advertisers get complete freedom of choice as to where their advert appears. Yes, you can limit the advertising, and, yes, you can control things – to a degree. But if you advertise digitally you are at the behest of an algorithm. In those “olden days” advertising buyers knew instinctively which places for advertising would best fit with the brand they were promoting. That human instinct was more powerful than an algorithm, which is apparently making errors on behalf of advertisers. Pay Per Click – Really? Worse than the reliance on an algorithm, is the poor return on digital advertising. One study has shown that 50% of all advert clicks on a mobile are made by accident. So advertisers are paying for clicks that are completely useless. Furthermore, one study showed that even for younger generations, TV advertising is far more powerful and influential than online adverts. Indeed, the average click-through rates are poor. Around 98% of people ignore digital advertising it appears. So even if the algorithm did manage to get it right, the benefits are pretty small. Google and Facebook both depend upon advertising as their principle sources of revenue. With major brands pulling out, governments investigating the companies and advertising agencies refocusing their thinking, this is a watershed moment for those tech firms. They could solve the issue easily. Just stop being wedded to the algorithm and only to use the tech to supplement human decision-making. But that’s a significant departure in thinking for these businesses who believe fundamentally in the flawlessness of the algorithm model. There is, as always, another way to solve the problem. Google and Facebook could jointly set up a massive, human-led, media-buying agency. Brands would then go to that firm and be able to use the human knowledge it contains to buy advertising in specific places. If you were worried about what kind of things your advertising would be associated with, you could have the control you used to have in the “olden days”. But if you didn’t mind your brand being on some hate speech video, then go ahead and stick with the algorithm, rather than people. Pay Per Click advertising is only as good as the algorithm behind it. Do you trust an algorithm more than a person?